In the years since 9/11/2001, millions of Americans have come to question the official narrative of the events of that day. The evidence simply doesn’t square with what we were told, and nowhere is this more plainly visible than in the manner that the World Trade Center towers “collapsed”. 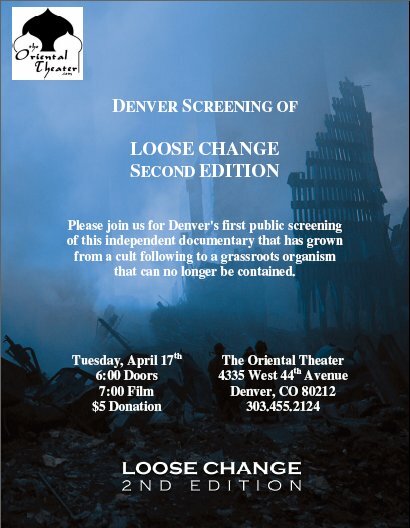 I hope you will join me when I come to Denver to give a live multimedia presentation on the topic of the destruction of the three World Trade Center high-rises. Bring your tough questions (there will be Q&A) and your friends—but please come and evaluate the evidence for yourself. David Ray Griffin, one of the nation’s preeminent scholarly critics of the official version of the tragic events of September 11, 2001, will visit the Denver/Boulder area in October 2007. 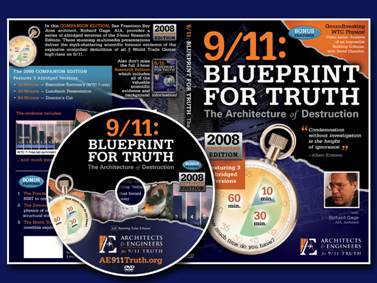 Griffin is Professor Emeritus of Philosophy, Religion and Theology at the Claremont (California) School of Theology and the author of more than twenty books, the most recent of which are Debunking 9/11 Debunking and Christian Faith and the Truth Behind 9/11. Colorado 9-11 Visibility strikes again, this time on Colorado Public Television station KBDI, channel 12 in Denver. Lately, Colorado 9-11 Visibility has been a hotbed of activity which have included a major 9-11 Scholars event, our continuing monthly 9-11 class, 9-11; Do We Know The Truth at Colorado Free University, continued monthly meetings and film screenings, the launch of the Beit Shalom Ministries Denver to D.C. Walk For Truth, a film series at the Oriental Theater, and a very successful event with Bob Bowman on his U.S. Patriot Tour. 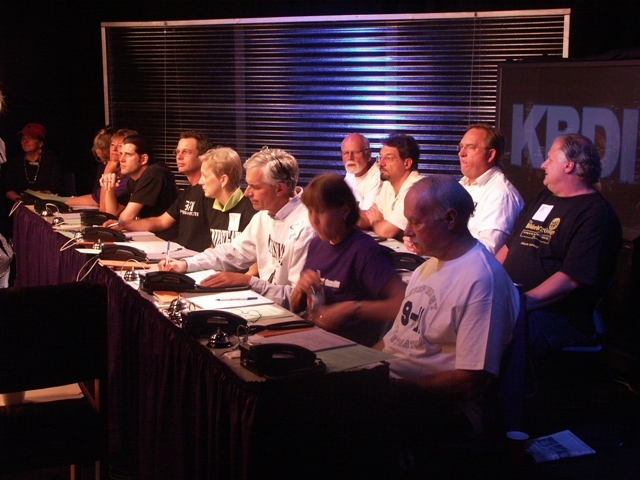 Add to the list, a significant appearance on Colorado Public Television, KBDI Channel 12 Tonight, Saturday, May 5, 2007! Creative ideas have always been a valuable asset with our group here in Colorado. For many months now, thanks to Steve Johnston's wonderful idea and initiative, we have been doing our monthly class at Colorado Free University. This is the first and only class that we know of which is dedicated to presenting alternatives to the official conspiracy theory of 9-11. Despite the school's name, the classes are not free and every month we have serious people willing to pay a modest fee to learn about September 11th. This class has proved most fruitful to our group, growing our numbers many times over with active, intelligent folks who have had the blinders removed. My sincerest and heartfelt welcome and thanks to all the new folks who have so enthusiastically jumped in to help at a time when some of us have began to tire under the load of taking on too much. The weekend events sponsored by Colorado 9-11 Visibility and 911truth.org, featuring 3 members of Scholars for 9-11 Truth Dr. Steven E. Jones, Kevin Ryan, and Kevin Barret were are great success on many levels. One was the more than usual media coverage. The front page headline of the Denver post, Monday, October 30, reads, Backers hail 9/11 theorist's speech - Physicist believes explosives were in Trade Center - A growing conspiracy has embraced Steven E. Jones, who spoke at DU on Saturday. Addtionally, the Boulder Daily Camera from the same day reads, Panelists raise doubts over 9/11 Speakers at CU say government deceiving citizens. More to come on this event including photos.